Is It a Good Idea to Shop for New Car Incentives Near Harvey, LA? Perhaps the most significant factor you’ll have to think about when you decide if you want to shop for new car incentives is pricing. Even if you get a good price, you have to keep in mind that new cars are a lot more expensive than used ones. If you are trying to spend as little as possible on your next ride, you’re probably not going to want to look for something new. On the other hand, you can find amazing prices on new vehicles if you just know where to look. Just make sure your wallet can handle those higher prices if you decide you want to buy new. You will also want to spend some time thinking about the safety features of your vehicle. Do you want the latest in safety technology as you drive in and around Harvey, LA? If you do, then you can’t go wrong with a new car. New vehicles tend to have the most up-to-date safety add-ons that can make your drives safer, more comfortable, and stress-free. If safety is at the top of your priorities, then you know driving new is the right answer. Finally, you should think about which technological features you want in your car. If you want all the latest in technology and entertainment, then you should definitely shop for new car incentives. Just keep in mind that you can still get amazing technological features if you decide to shop for something that’s already a few years old. Just ask your salesperson for specifics when you see a car you like. Are you ready to find amazing new car incentives? 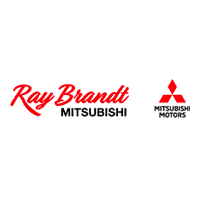 Just head on down to visit us at Ray Brandt Mitsubishi, and we will have you in a brand-new car in no time at all. You’re going to absolutely love your new ride.